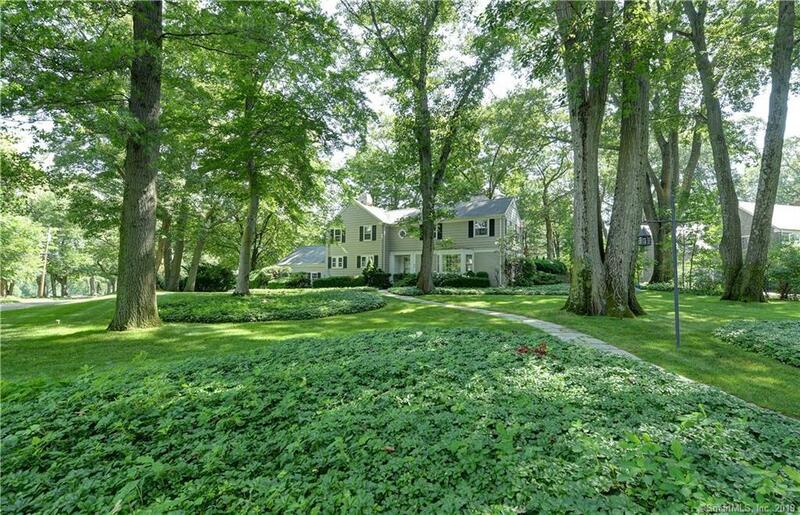 Nestled at the end of a quiet cul-de-sac with priceless views of beautiful Brooklawn Country Club sits this glorious 1930âs custom colonial. With all the curb appeal one could possibly ask for, the charm and character is as inherent as is the gracious grounds that embrace its walls. Over 2700 square feet with an additional 600 finished in the lower level, this 5 bedroom, 3.5 bathroom home offers generous rooms, gorgeous stone sunroom and patio, first floor ensuite and a palate just waiting for your finishing touch. Original details add a sophistication and ambiance not easily found in today's landscape. Outside, the property is magical. Natural landscape embraces the home with lush plantingâs, pops of color and graceful canopies of green above. The stone patio leads from the Family room and Sun room offering an ideal venue for summer grilling with the setting sun. Private and charming, the back yard is a small slice of heaven. This home truly has it all and just waits for a new family to put their own personal finishing touches on it to create their forever home. Many updates including new roof, furnace and water heater. You can stop looking, this is the one! FANTASTIC OPPORTUNITY TO LIVE IN THIS COVETED NEIGHBORHOOD!